Ooooh! 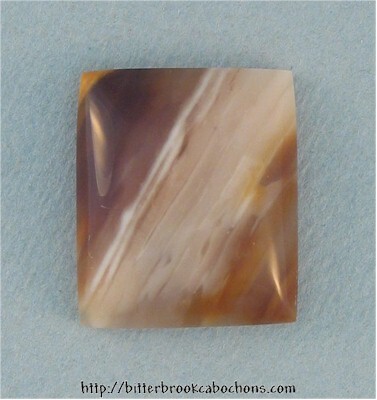 Bold diagonal stripe cuts through this golden brown Agate cabochon. You can't buy it, though, because Gloria at Wire Treasures has already snapped this one up! 22mm x 18mm x 6mm. Weight: 22.90 carats. Do you like Banded Agates? Click here to see all of the Banded Agates on the site!